What Does a Coyote Eat to Survive? What does a coyote eat to survive? Roadrunners, of course! Well, maybe. Probably, if he can catch him. Coyotes eat anything they can get their paws on that will give them a decent serving of protein along with some other nutrients sprinkled in. If they are really hard pressed for food, they will eat some fruits, just so that their belly won’t growl at them. Honestly, they eat what a lot of people do. They like all the meats! So, what animals fill a coyote’s belly? Mainly smaller things like rabbits, rodents, birds, etc. These are all animals that a coyote can easily pounce on, kill, and eat on its own. Solo hunting enables a coyote to keep a low profile and not attract a lot of attention to itself especially if it is feasting in the daytime. These smaller treats pack in quite a bit of protein for their size and keep the coyote full for a while. 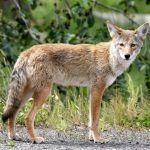 Plus, they are readily available in most coyote’s habitats and have a relationship with coyotes that creates a dynamic balance within their ecosystems that makes the coyote a valuable player in every eco-community. However, if pups have recently been born, or a few coyotes are due for a heftier meal, that is when the bigger hunts take place. Teams of two to three coyotes will work together to chase and exhaust an animal such a deer to the point at which they can attack it from the front and make the kill. These deer or sometimes elk provide larger amounts of food at one time and can be shared within the pack. Occasionally, the need for a larger food source such as this is what leads many farmers to despise coyotes. 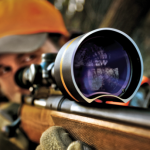 Small, young, or weak livestock can provide adequate food supplies when animals like deer are unavailable or coyote populations are high enough that hunting has become difficult. 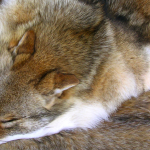 These animals easily fall prey to the coyotes as they are in an enclosed environment where they are conditioned to feel safe, and do not normally feel as if they are in danger. As a result, some livestock become coyote dinner at the expense of the farmer. 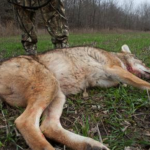 Nevertheless, livestock and large wild game alike provide copious amounts meat from which coyotes and their young can gain protein, carbohydrates, and vitamins that will sustain them for long periods of time. What about coyotes who live in the desert? They don’t have deer or many small mammals around. What do they eat? As mentioned before, coyotes are not picky eaters. Many coyotes will happily dine on any snakes, lizards, or birds that they can get their paws on as well. If they have water sources that have fish in them available, those fish are fair game for mealtime, too. 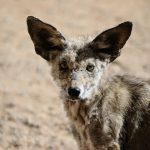 In the desert areas, many coyotes may migrate toward mountainous terrains to hunt for larger mammals that survive at higher altitudes. These desert dwellers also have a knack for speed much like their cousins and often dine on jackrabbits when they are lucky enough to catch one. Regardless of the terrain, the coyote will always find a meal. 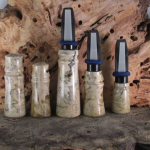 What if all else fails, the coyote is weak, and hunting is not going well at all, what then? Then, the coyote’s true adaptability shines. It is in times like these when the coyotes will use their senses of smell to guide them to safe treats of the insect and fruit persuasion. Grubs, crickets, berries, and anything else the coyote can find that is not poisonous is fair game until the coyote can regain its strength or find a higher food source. However, things do not always have to be this extreme for a coyote to consume these organisms. Occasionally, the coyote will pick these insects and fruits up along the way as a supplement to their diet or for a snack between hunts. While searching for live food to dine on, a coyote may also happen upon some carrion that they might find tasty- tasty enough anyway if they are hungry. As stated earlier, coyotes are opportunistic. They won’t turn up their nose to some food just because something else killed it. Coyotes are not above eating roadkill or someone else’s leftovers. An opportunity for a meal is a meal in the eyes of a coyote. So, what do coyotes eat to survive? Anything they can get their paws on. As long as it won’t hurt them to eat it, a coyote will likely eat anything that does not eat them first. 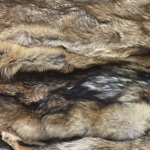 Feathers, scales, and fur alike all attract the coyote’s palate, but in a pinch, so will multitudes of legs or even a certain post-mortem odor.